Caravan – Trump Firm On Asylum: "No 'Releasing' Into The US. 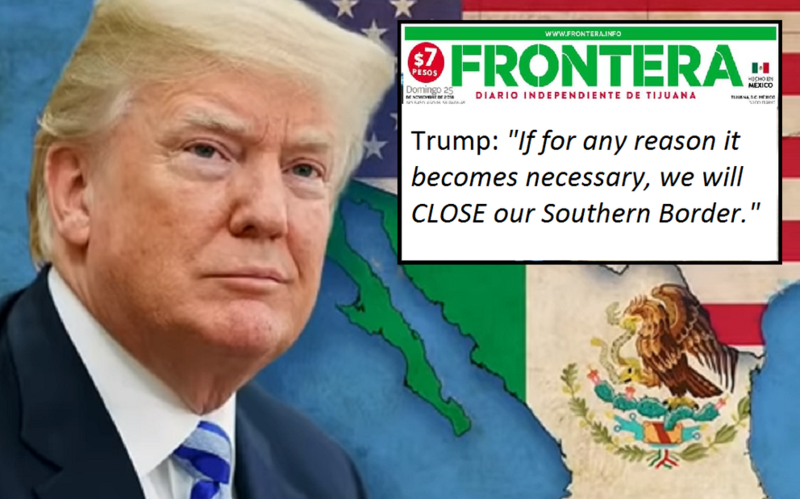 All Will Stay In Mexico"
A federal judge may have instructed the White House earlier this week that the stricter asylum procedure President Trump wanted to install didn’t fly, that doesn’t mean POTUS is going to accept 5,000 asylum applicants on US soil anytime soon. Related coverage: <a href="https://thegoldwater.com/news/43143-Caravan-Tijuana-Mayor-Declares-Humanitarian-Crisis-Over-Migrants-Arrival-Video"> Caravan – Tijuana Mayor Declares ‘Humanitarian Crisis’ Over Migrants Arrival (Video)</a>. Mr Trump’s statements came just after the Jeff Bezos owned newspaper Washington Post had reported Mexican officials agreed with the White House administration to let migrants trying to enter the US stay in Mexico while their asylum claims were heard, given the exceptional great number of migrants currently residing in Tijuana wanting to apply for asylum. According to the newspaper, the plan is, in typical ‘Trump fashion,’ called "Remain in Mexico." However Incoming Interior Minister Olga Sanchez Cordero, who will take power in December after President-Elect Andres Manuel Lopez Obrador's administration takes power, said the US had yet to even send "a specific proposal" on how to deal with the issue and those conclusions were only preliminary. If Mexico has a real government they would have prevented this crisis at the beginning. They wanted this as much as the Soros group since they have issues with Trump.